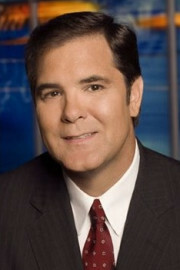 Join Greg Hunter as he goes One-on-One with David Morgan of Silver-Investor.com. David Morgan is working on a new book about, what else, silver. He told me he did not have a working title, but he did say, “This is the book I’ve always wanted to write. It’s going to be the ‘bible’ of silver. It’s money and always has been.” Morgan says the book will be out late summer of 2014. Check out Silver-Investor.com. But when the Us dollar loses its status as reserve currency then the losses will be measured in hundreds of trillions of US dollar at todays price and the losses will cause the collapse of the Wests banking system (mostly made from TBTF banks) and the PTB knows that. That is the reason why I told you “the West is good as dead” and that is the reason why they orchestrating war on ME which will be started by Israel (they will attack Iran and Syria), and Russians knows that. Simply put, Russia, China, Egypt and Saudi Arabia will step in and say no to war, countries which may lost the most in war like this (the ME is a powder keg). Reason Russia and Egypt sees it as hazard to its national security, China sees as hazard for its energy security and Saudis knows one thing they will be engulfed in fire in case of war, literally (like Kuwait was). So Israel will be pacificated in days or weeks and USA will be able do nothing (at least officially). Russia is the worlds top producer of oil, Yet our leaders treat them as irrelevant. The great statement in your link was (We just have one question: will payment for crude and LNG be made in Rubles or Rupees? Or in gold. Because it certainly won’t be in dollars.) Great link Oracle911 Thanks. -mark the 10th of April, there will be a G20 summit and if the US congress won’t ratify the changes in the structure of IMF, well the BRICS will sink the US dollar and the IMF will be irrelevant (because the BRICS bank). Considering how arrogant and incompetent the US government is they won’t ratify it, so the global meltdown because for that reason is coming. I simply do not know. There are so many moving parts to this economic and geopolitical situation that has never happened in history. You are correct about one thing (the ME is a powder keg) looking for a match. I don’t see Saudi Arabia and Egypt backing Russia and China so long as the United States is giving them military hardware free of charge and as much “international aid” directly to their politicians/ruling families as they want. I have been studying these financial issues for years and believe I have a more detailed understanding than most people because of my interest in the subject. I believe that because of the laws of dynamics and the preference for balance in systems, that a correction of the system is imminent and inevitable. As so many others have said, the exact dates cannot be accurately predicted, as is true with many other natural systems where stress develops and the sad result is a quick release of energy, (i.e. earthquakes, avalanches, postal-workers going Postal). My knowledge has been gained by reading multiple obscure (and some not so obscure) books and articles about the subject and listening to multiple non-MSM sources who discuss this subject. I believe that for individuals to understand the subject in it’s entirety they would need likewise, to study it in detail as I have. As an alternative, for people who don’t have the luxury of time for that, I want to commend your site on offering one of the most cogent sources of information on this subject available in the media today. I am convince that this is the most important issue of our day. I believe that our tendency as a race to get ourselves into situations like this is a sad commentary on human nature. I believe that financial hardship will be the result for many in the U.S. and in the world in general, and finally, I believe that the end result may most likely lead to war. I want to thank you for your intellect and courage in creating this knowledge base and this forum for discussion. I firmly believe that you are conducting a sorely needed service to mankind by your labors. I believe that the message understood through listening to the collective knowledge coming out of your interviews and subsequent posts, is a message that everyone in this country, and indeed this world, would benefit from if they were so inclined to be receptive. But sadly, only the lucky ones will have the open-mindedness, the intellectual curiosity and the courage to think outside the box of the MSM and see the truth that is right there before all of our eyes to see. Thank you sincerely for the work that you do. J.C. Collins over at philosophyofmetrics has done a fine job of describing what you are talking about albeit, with even greater specificity. He describes the IMF special drawing rights mechanism and its implementation that is about to be launch at the Spring meeting in Washington, truly a watershed moment. Another great interview. David has always been a sensible expert on silver. He mentioned the mega rise in silver in 1979 and 1980. During that time period inflation was out of control and the price of gas and groceries were skyrocketing as were gold and silver. All of the higher prices of ’79 and ’80 have since been surpassed- gold’s high of $850 in 1980 has long been taken out. Silver’s 1980 high price of $50 has yet to be taken out. Yes the Hunt Brothers were furiously buying silver in ’79/’80 but that highlights how small the silver market is if two brothers could nearly buy all the silver. Excellent interview Greg. I was not familiar with David Morgan but found myself fascinated by his take on world events. I completely agree with David Morgan in regards to his statement about complete/total evil being in control. Thnx for another great interview. Thanks so much for all the great work you do, I follow your work closely and think you have amazing guests. My comment is regarding the strike in Israel’s foreign office. I happen to have a relative who is an Israeli consul and am close to this story. This strike is actually a continuation of a smaller scale strike that took place last spring and continued for a few months and was temporarily resolved last September. It is really about worker conditions and pay for Israel’s Foreign Office employees. There is nothing more to read into this than that. There are many analysts out there like yourself that are tying it into some collapse or other global scenarios, and just in my opinion, knowing what I know, it blurs all the real vital and true information presented in David Morgan’s interview. Thank you for adding your personal perspective. This helps us understand what is going on. Awesome interview Greg!! Morgan is articulate, understandable, and is a great presenter of news and information. Thanks, Greg, for getting guys like these out there to be heard!!! Greg this was a brilliant interview. I have asked myself time and time again, “how long other countries would tolerate this “Fed Ponzi scheme ” ? I had always assumed that the G20 was hesitant to pull the plug on the money printing , because they were afraid it would cause adverse effects to their own economies. But now I think they realize they have no choice. There is a struggle going on between the Banking Cartel of the West and the White Dragon family of the East. We can see it play out on a global scale time and time again, in countries like Ukraine and Syria. The X-factor in this whole mess is the unreported news (by my sources) that the Saudis are running out of oil. What does that mean for the dollar? You guessed. It can no longer be used as the world reserve currency. That is the reason for the Britton Woods Meeting in April. “Planned” or “economic principles” the reset is on its way. Thanks for weighing in. Your guest spells it out bluntly: “massive evil at the top”. The US Constitution was, in my view, designed to provide a bottom-up check on the upward migration of this “evil”. It has been subverted. The Supreme Court has failed the people. The 1st, 2nd and 4th amendments have not been upheld. I can only conclude that the process by which SCOTUS judges are appointed has allowed this to happen. Afoot is an effort at the state level to call for a Title V convention to re-examine and address the fraying of the Constitution. This is a movement worthy of watching, and a definite action US citizens can take is to get on the phone to their state legislators, and demand their support of a Title V convention. Wolf-PAC is an effort to take money out of politics. While necessary, I don’t think this is sufficient, for if the SCOTUS is not going to be charged with and empowered to uphold the Constitution, the same process which has withered the real power of the court will take place again. In my view, through something like Title V, state-level courts should have the power to adjust the makeup of SCOTUS. A raft of legislation that clearly violates the Constitution can then be re-examined, starting with the 1913 Act that established the Federal Reserve. The power to create money is rested in the Constitution, and no law should be upheld that clearly violates that principle. The 1st, 2nd and 4th amendments are under attack. ‘Shall not be infringed’ must be upheld, or modified under amendment procedure. I’m not sure how to put it to paper, but I believe that adding language to the Constitution that clarifies the degree to which SCOTUS can “interpret” what the Founding Fathers “meant” is key. Better to have SCOTUS constrained, for we have seen the thin edge of the wedge used to politicize the court. I don’t think a Title V convention is merely a nice idea we should get around to some day, rather, I feel it is an emergency – for the very reason your guest so bluntly expressed. There is an emergency. It is my suggestion that communications to state-level legislators should stress the urgency of the situation. Such a convention should prioritize, so that a prolonged, vague process can be avoided. Get done what needs to get done first. Issues such as SCOTUS reform will not doubt foster lengthy debate, which is a good thing, but getting to that should not uphold other reforms which need to take place. Failing a legislative, constitutionally valid procedure to address the issues I raise above, I fear violence. That is a guaranteed losing proposition. Sorry to wander off the topic of your presentation, Greg, but in the spirit of the current SCOTUS, I am taking a wide interpretation of the purpose of your site and comment forum to put forward proposed solutions to the matters you and your guests raise and analyze. Summarizing: the “evil” mentioned is winning. Each branch of government has let us down, including the court. We are not powerless, however, and through Title V we can reclaim that power, and in my opinion, must. State-level legislators are closer to home, and likely to be more responsive to our demands and pleas. I reiterate: speak to your state-level legislators directly. The best outcome would be reformations that cut the legs out from under this darkness that has seized the government. There is little time. No, No, No, HELL NO ! to a Title V Convention. What you are talking about here is actually a Constitutional Convention in which EVERYTHING will be on the table. That is exactly how we got the Constitution we have now. A convention was called to only “amend” the Articles of Confederation. What followed was an almost complete rewriting of that document. Even the best of people with the best of intentions would not be able to limit the amendment process to the original topic. The problem is not our present Constitution; our problem is our lack of regard for the very plain language therein, which begs another question; since politicians and bureaucrats cannot be made to follow the very plain language of the COTUS , why in the world should we think they would follow any further amendments? History has shown that the Anti-Federalists (Who were actually the REAL Federalists) were right in denouncing the COTUS as granting too much central power, and I agree, but today the COTUS is the largest piece of flotsam from a sinking ship and we must cling to it as it is. Can’t you foresee TPTB pulling out all the stops using obscene amounts of money, plus intimidation to the point of murder to get their own rewrite? This Constitutional Convention (Con-Con) idea resurfaces all too often and has thus far been exposed for what it really is. In 1996 I handed an info packet to then Gov. Fob James of Alabama, which was the first he had heard of that attempt for a Con-Con and it was defeated in Alabama and across the Nation. A call for a Con-Con by an individual IMHO results from gross ineptitude, lack of due diligence, or an ulterior motive. Greg, this was another great interview, as I have come to expect from you, and I apologize for this comment being off-topic and maybe too strident with an accusatory tone, but I think the threat of a Con-Con to what freedom we have left warrants it. David Morgan is always very conservative with his predictions. So if he says 2015/6 then you can be sure it’s going to happen before then. I think once something starts to happen (maybe at the G20) then it will be like an avalanche of snow. Pretty sure a day’s wages historically were closer to a TENTH of an ounce of silver. Greg: Nothing really new here if one is paying attention to what’s going on. Rigged gold and silver is a fact. When it does take off- could happen at anytime- as you said- you will either have it or you don’t. Those with out will go down with the ship! Get some now- the only real money- for 5000 years. The “elite’s and banksters have convinced the public it’s worthless so they can buy more at cheap prices! Good day Greg : Good show on Silver with David Morgan. He is right on about the world we live in. “For we wrestle not against flesh and blood, but against principalities, against powers, against the rulers of the darkness of the world, against spiritual wickedness in high places. Ephesians 6:12. Looking for that blessed hope, and the glorious appearing of the great God and our Savior Jesus Christ………God bless you Greg. The theory sounds plausible, but for the life of me I can’t see where countries wanting to get rid of their dollars would go. Gold seems unlikely as the swiftly inflating price caused by buying pressure would have a throttling effect on the market. The dollar is financial heroine, and the world’s addicts will not kick their habit cold turkey. Only the establishment of a viable replacement currency would fill the bill…….financial methadone. The creation of a global currency to replace the dollar would quickly put an end to most of the world’s angst about the dollar. If one looks closely enough it would be difficult not to see that the current global financial bubble was created as a means to an end, a solution in need of a problem if you will……after all, isn’t a single, digital, global currency the ultimate goal for the central planners of the New World Order? I did not make this comment. Fleeing the dollar need not be obvious. Accumulation of raw materials – copper, iron ore, uranium….etc. NWO = single currency + control of world’s mineral wealth. Others have made similar predictions for the past 4 to 5 years whether it was a G8 Summit, Fed Meeting, G20, IMF Summit, etc. To this date everyone that made these predictions has been wrong! I’m sure at some point one of these forecasters will be correct since similar predictions has been made and re-made multiple times. No one knew that our government would become completely lawless. When you can manipulate interest rates, currencies, metal prices, etc, etc, & change the laws of the land any time you want(glas stegal, etc); this can play out for some time. about China taking over a major segment of the IMF? will have a substantial impact on the Dollar. The US currently controls IMF. If our leaders give away our control they should be tried for treason. Not sure about the price of silver be equal to a day’s wage. I can’t think of a time in American history when this would have been true. But the real question is how long can they keep the lid on the fantasy that everything is great? I agree that at some point the bubble will pop. Greg, excellent guest and interview. Thank you DMR for the comment! All good and well for Gold…..plausible theory. BUT……China has a mountain or worthless US Paper (USD and UST). Does suppressing the Gold price rectify that dilemma… or create another one ? A scheme of arrangement to prop up the dollar temporarily may be feasible …so that China doesn’t take a massive hit to their so called investment. Plan B ( & C, D, E) is to implement a new monetary system. Perhaps manipulating gold down, using some dollar reserves to acquire boatloads of it, then letting the gold price float higher along with the Yuan will make their own currency and gold reserves more such that they can offset their lower priced dollar reserves? Dollar reserves held by China would take decades to diminish by buying in that fashion. China hasn’t got enough time, but it does have too much USD/UST. Besides, China does not care what it pays for Gold…it just wants as much as it can take delivery of. To right, It”s got tons of toilet paper it wants to unload as soon as possible! I think we are seeing the rise of some truly evil $#@!, unfortunately if one subscribes to the notion put forth by Edmund Burke, the rise of evil is an indictment against all of us who would call ourselves good, making what we experience as a result of this ascendance of evil fair and just as far as the great Scorekeeper is concerned. I think we are beyond preventing the emergence of what is already well on its way, I think there is no saving the things that we have already given up, all we have left to do is prepare ourselves to come out of this thing with a better understanding of the Creator and our place within the Creation. No I dont subscribe to Edmond Burke’s theory. I subscribe to the Bible. Wasn’t he Stony Burke’s brother? David is a pleasure to listen to as he uses common sense in his evaluation of events around the world. His analysis of the G20 meeting sure fits with the idea that April is one the times being generally discussed as a changing moment for the worlds economic circumstances. What is so distressing is the fact that this giants of the financial industry are in position to move from short to a long position in the blink of an eye and not miss any pro0fit. They will not be fitted with their rightful uniform, orange jump suites. Greg I decided to post this short piece. The timing was off, but I think the message was accurate as to what is coming. I have tried several times to post information about the Britton Woods meeting in April, but something or someone has been blocking my post. Some are saying that real estate is a steal right now….I’m kinda thinking the same thing…..it could be the opportunity to “freeze” your wealth….by jumping into some. However, their are two schools of thought here. One is deflation…the other inflation. Are these interviews available as .mp3 audio only files? I would like to download these to an mp3 player and not be tied down to a desktop or laptop in order to listen to them. With Google sometimes completely taking down channels with no warning, its good to have backup mp3 files on the site. My mp3 files wont load directly on to word press because they are too long but there are programs that allow you to upload long files directly to your site with little extra work. Been meaning to do this myself. Will find out today and report back. I know people what run sites that use them and its quick and easy to add mp3 files to your site. I am going to start adding mp3 files along with YouTube files to my site. Thank God the Republicans refused Harry Reid (Satan’s no.1 minion in Congress) demand that the IMF reforms be added to Ukraine aid bill that would double the payments the US gives the IMF plus strip the USA of control. If this doesn’t tell you that the Dems are anti-American, then throw in the Dems giving up control of internet and you cant come to any other conclusion. His premise is that we are going to be forced to give up control I find not compelling. I dont see how they can force us to give up control of the IMF as it was founded with nearly 100% of our money. I do believe the U$D is going to lose its world reserve currency and that it will be soon. I am not buying that based his historical analysis of wages (which I disagree was an ounce of silver a day) that fair value for silver is $72/oz. Think hes way off on this as when things get bad wages are going to decline in REAL value and that silver is being consumed which will slow as things get bad but as silver is returned to as money, it will be valued more and labor less. When this bs crashes, REAL people will recognize and users/losers of society will be forced the see that only a few things matter. Food, water, shelter, protection and a peaceful, productive means of having it. Real value will return to the earth. Things of value will become simple things that everyone has taken for granted. Guess what I am saying is that Americans will be getting a taste of what many around the world struggle for on a daily basis…the sooner the better. Those who are ill-prepared and act up or out or whatever they do will either fit quickly or choose to continue their evil ways. Most will not put up with their evil ways…Honest, productive people are very tired of being forced to fund extremely unearth friendly behavior…everyone gets what they deserve. The levels of pain that people experience will be dictated by how well that they understand how the earth works. you have said and I agree that if you buy PMs its for a store of wealth, not a trading opportunity. If you bought silver with this mentality, you’re not so concerned about the current price…as a matter of fact, you’re probably buying more because its on sale. Hello! I am Russian. Over the last 2 years I have been involved in the “MMM”, whose author is Sergey Mavrodi. Over 2 years I get Self-Profiting from this project, the essence of which arrange financial apocalypse in the world. That is, the inhabitants of our country decided to get together and start sharing money by 100% per month. The project is going up steadily, spreading to new countries. Is a financial apocalypse if people from all over the world will share their own money? Thank you. So your community shares their money 100%. Isn’t that communism? There will always be people who feel entitled to take more than they need and a bunch that will always take more than they produce. If I have savings and hook up with a bunch of people who are spend thrifts, how is that going to work? The pilgrims tried collectivism and nearly starved. Only when n people were penalized for poor choice (drinking wine spodiey-odie all day, etc) and rewarded for hard work did they survive. In society, there will away be people who do as little as possible to survive and those who toil to make a better life for themselves and their families. I’m a bit skeptical about the prices of gold and silver rising to such astronomical numbers, at least for the time being. Remember when gold hit $1900/ oz? As Dr. Paul Craig Roberts described in one of his articles several months ago, the Fed reacted by selling off thousands of naked shorts within only a minute or two. They along with Goldman Sachs did this to crash the price of gold before it could reach $2000/oz. and possibly bring down the dollar as reserve currency. They were successful and at the end of the day the price of gold dropped to $1200. The Fed will intervene again if gold prices climb to levels they were last year. Make no mistake about it, they will react and use whatever mechanism they have at their disposal . If anybody believes the Fed will simply sit by and watch gold prices soar, they are living is a dream world. Those within the world of finance, banking and including within the government by now must realize collapse is imminent; to the point where the DHS has armed itself with nearly 2 billion rounds of ammo, much of it .40 caliber hollow point, along with the purchase of 2700 MRAP vehicles in which they are now in the process of distributing throughout America to local police departments. Every government agency is arming itself including the department of Social Security. We are heading for collapse. They know it’s coming and the government if preparing to take extreme measures when it does occur. The question I believe needs to be answered is how will the government react, what will they do about those who have purchased physical gold and silver? I don’t believe anybody has considered this. Just as the government is attempting to disarm Americans, might they also attempt to confiscate the gold and silver people have acquired? Realize what has transpired up to this point and you can make a well educated guess as to what might happen next. When all this comes down, things may get very ugly indeed. Of this I have no doubt. Definitely having a secure place to hide food, ammo and firearms along with your gold and silver is a must. You will be lost without it. JOhnZ. They (the bad people) are out of powder brother. The good people know it and more people are getting it. The gub has never done anything good for those that are good. People where put on the earth to love one another. What has the gub ever done to encourage this??? Take a moment to think about that. There are a lot of “people” who are not supposed to get it…sounds like you do. I suspect that the Western Powers That Be have unlimited ability to repress Precious Metals prices. In that they don’t want to panic the outsiders, or show their hand any more obviously than necessary – they manipulate , over time and in ranges designed to break the perception of value: and therefore the psychology of investors. But the rest of the world isn’t fooled by this. There has to be a final and complete break from the paper machinations of manipulation – which will leave these fraudsters yelling and screaming that they are to be believed. Half the world will return to sane and sound money practices: but the West and her allies will be confounded, and abandoned by it’s own people. The cost of this “break” will be a convulsion of unpredictable proportions. Indeed, some advice has suggested that PM’s be not only stored outside the banking system: but outside the country itself. One must concur with your observations. Hey Greg, another great interview. Morgan’s telling it straight. a meeting down in Mexico when a hurricane threatened the resort city he was at. to guests at the pool where he was staying. They told him to get out of their face. They’d paid for their vacation time and they weren’t going nowhere. world news were showing the mass panic of folks tryin’ to leave town. Panic everywhere, and things were so bad it took many days just to locate victims. Plenty of warning; eyes open but they’re sleepin’. Same-o same-o. Interesting story. It appears the Banking Cartels plans for getting a foothold in the middle east to pillage for oil has backfired. Another darn good interview Greg! Mr. Morgan is right to mention the “spiritual” dimension, which no one likes to talk about even though it is really the source of our many problems. From creating dishonest dollars to nefarious war-mongering across the globe, America’s national soul has been led astray by those who are much worse than thieves and scoundrels. To chronicle all the ways they are harming our country would take a four-day interview, as there are many unsavory characters and entities that have slowly weakened and are hellishly intent on destroying our country. Luckily there is a higher power than these despicable mortals. But I think our victory will come at a great price of human suffering, which are always the wages of sin and wrongdoing. By sharing his observations on a evil ruling power, David Morgan was very insightful. Many are surprised to learn what the Bible actually says about who rules the world. For example, 1 John 5:19 states: “The whole world is lying in the power of the wicked one.” Who is this wicked one? Jesus Christ identified him as Satan the Devil, whom he called “the ruler of the world.” (John 14:30) Now, does that not make sense? Satan is cruel, deceptive, and hateful—traits that underlie much of the suffering that people experience. Why, though, does God allow Satan to rule? Those words of Jesus show that God has not been sitting idly by, watching events unfold. (John 5:17) Rather, since the rebellion in Eden, he has been very busy. For instance, he inspired Bible writers to record his promise that a future “seed” would crush Satan (Genesis 3:15) Additionally, by means of that Seed, God would form a government, a heavenly Kingdom, that would bless obedient humans and end all causes of suffering, even death itself Dan 2:44. This type of news is hard to grasp. But we had better grasp it. Silver is needed in the prepper’s survival toolbox. It may not be too long from now when a farmer will sell produce via silver coins v cash. I sure hope for a meltdown and depressions versuses a sudden crash as we need millions more Americans on board. Too many folks still asleep…. Hi Ugly. Those who are supposed to be awake (when the time comes) will be and there is no guarantee even for them/us. I put people that are in my life in 2 very simple categories. I don’t think that I need to explain the 2 categories to you. On a brighter note, I have green sprouts popping in my greenhouse. Broccoli, cauliflower and some others up an 1″ or so in just over a week. Been cleaning up the outside garden and spading in new compost. (by hand!) It was near 60 y-day and as I sit here, there is an inch of snow on the ground and no let up in sight. Aloha from Poky ID Lastman…..
Not gardening yet in Poky. But am getting my one garden area of 24×24 ready for mostly tuber crops. I planted Jerusalem Artichokes last fall. Next week I will start with several potato varieties. The 24×24 area will be about 85% tubers, with the rest in herbs, a few tomatoes, and a small lettuce patch. A tuber garden is important because you can grow a lot of food in a small area. Our other garden spot is a 16×16 where we grow mostly lettuce, tomatoes, pole beans, and other stuff. We also have 12 productive fruit trees. This all sits on about 0.40 acres which includes our house and a large yard. We are trying. The sad news is that nobody in our neighborhood has any thing close. Nobody gardens here. We stick out like a ‘sore’ thumb. Glad to see you bring up the point about Israel closing its embassies / consulates. Again, something big is coming that will be a diversion from the manufactured economic collapse. The Banksters need a decompressor of sorts that will quell or reduce dissent of the masses towards them. They need a big distraction. I have to wonder if the Great Viral Shedding is near, and Israel knows it, for they – in conjunction with the Banksters funding their apartheid state – are going to unleash it? Total panic and anarchy will result, which will lead to a lot of infrastructural ruin, and in the process, if a person is fortunate enough to escape infection, then the same person will have to contend with the physical carnage from the resulting societal unrest? This is why Israel is withdrawing its people all over the world back to Israel? Those state-mandated “polio” inoculations of children in Israel for roughly the past year are a front for vaccinating against a bio-engineered freak virus that will plague the world? I sincerely hope this is not along the lines of the many Israeli nationals who did not show up to work at, and near, the WTC on 9/11. However, if enough people know what the Powers-That-Be are up to, then they will not commit such crimes against humanity to further their hegemony over the world. Everyone needs to speak out and let these Psychopathic Global Chess Players know they will not get away with it. If “they” get rid of the USD who will be THE consumer nation? There will not be one! Don’t say China or Russia or any European countries as they are all have their woes. This is all about power not money. There won’t be one if you have a global collapse of the financial system and they’d have a revolt on their hands. Now if China and Russia can smoothly replace the dollar and make a transition then it’s possible. China’s population are extremely LOW WAGE earners so they would need to increase the wage of their workers but that would trigger inflation and then they would be competing with Thailand and other lower wage countries. I think when it’s all said and done, it will be a financial war between East vs West like we are already seeing in the early stages. Each side will look to destroy each others financial system then after that it gets ugly becuase now you are potentially dealing with a world war and that could entail NUKES ! Which is why I still go back to what Karen Hudes said earlier this year. We could be thrust back to the dark age. To an extent, money and power are one. Holy mackeral, have you people not been paying attention? BRICS include Russia, the largest country in the world in possession of the world’s greatest fresh water supply and a wealth of fossil fuel resources, China with the world’s largest population, India with the world’s second largest population, Brazil and South Africa. If any of this comes as a surprise to you, the time to start taking notice is NOW. The world is changing. The 21st century *will not* be a rerun of the 20th century. That means the worn out US/Eurocentric WW2 et al. is being submersed by a sea of change. It is here. It is real. And if you’re looking to the past for answers, you will be lost. Good post. There are many here who are just waking up. Me included. Even though I have been preparing for the last 30 years, I was still holding out hope until the 2012 election. Know I know the train is going off the rails. Clif High of the web bot project says the internet chatter is indicating major global financial change/chaos will begin to accelerate in April 2014 and continue through the end of the year and into next with a complete collapse of the fiat systems. CISA, Comrads in Silver Arms. As DM might read this thread, thought a slap on the back would be appropriate to show some true love. Now Morgan seems to have already made his lot in life, and for him, its about “libertarianism” which can be translated into FREEDOM FROM GOVERNMENT, and he touched my heart. AM, a tad younger it appears, more vibrant, is on the hunt still, trying to make all the dang money, day after day, the preference being those driven by FREEDOM over those driven by making MONEY. Not taking anything away from Turd or AM, but Morgan is THE MAN. Today, every man on the street knows that the US government’s debt currently equals USD 17 trillion. Some have even memorised, meanwhile, that this exceeds America’s gross domestic product (106 percent of GDP according to recent figures). The US government’s debt is only part of a more general debt, which is often referred to as the United States’ total debt. The media very rarely publishes figures on the United States’ total debt. This is partly because these debt figures are not so reliable. The main reason, however, is that for all their mistakes, they present a true picture of the economic situation of the world’s leading country. And it turns out that the picture is an extremely unpleasant one: it raises doubts over whether America really is the world’s leading economy. The main components of the United States’ total debt are: 1) public debt; 2) the debt of state governments (state debt); 3) the debt of local authorities (local debt); 4) the debt of individuals (personal debt); 5) the debt of nonfinancial companies (business debt); and 6) the debt of the economy’s financial sectors (financial sectors debt). It’s called debtamoney. Plenty of debt no money! Greg, I saw the article you linked about Russia starting up it’s own payment system. And with that news our so-called leaders continue to lob marshmallows at Russia so as to get under their skin. Don’t they get it in Washington? Bah, never mind we know the answer. The financial war has started can a shooting war be far behind? Citigroup Inc.’s capital plan was among five that failed Federal Reserve stress tests, while Bank of America Corp. won approval for its first dividend increase since the financial crisis. Antigun CA state Sen. charged with illegal gun sales and possibly involved with Chinese tong. Dem of course. He wants guns out of hands of public to keep his organized crime buddies safe and to be able to charge more for his illegal weapons biz. Mayor of Charlotte NC solicited and accepted bribes starting more than a year ago but Holders FBI didnt charge until a few days ago.mmm… why?? 500 Sometimes you plan your fishing trip, other time fish just flop over into the boat. A lazy man will do nothing till others notice he is doing nothing. Greg. If a visitor don’t find themselves happy with this site. They just don’t like snow on Christmas. Some like the north in winter, and some need to live in Florida in winter. My eyesight and concentration has become limited as I have aged. I skim over long comments so please forgive my short comments. Your doing a great service for the people of the USA. You are very kind JC! Morgan, Sinclair, Willie, Rickards,Williams and a host of other knowledgeable market types all seem to agree, to a greater or lesser extent that the USD/PETRO DOLLAR is in trouble. I have yet to hear a contrary opinion except from the Wall Street cheerleading crowd. The fact that nothing is being done to remedy the situation doesn’t bode well. The trick to saving one’s economic situation, at least at a break even point, is to try a figure what the financial giants will orchestrate when the crisis takes place. Precious metals could, or could not be sidelined, if a new reserve currency is floated by the IMF/BIS bankers in the “reset”. For my money I think Rickards has the sanest outlook. That is 10 to 20% of asset value in gold as an insurance policy and perhaps some silver as a reserve to cover household expenses on an emergency basis. More important is the ability to become mortgage and credit/debt free before any crisis hits.